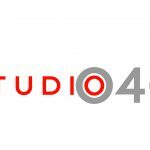 The Dutch Design Week kicks off this Saturday the 21st of October. It is our pleasure to invite you to the Embassy of Food at Ketelhuisplein, Eindhoven. 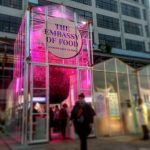 The Embassy of Food is a place where Agri meets Design, where a few radical views on future issues are created that visitors will be able to experience and taste. Passing through the entrance, you will be surrounded by a thin layer of mist. Inside you will find a kitchen made up from solutions to food waste, in the context of the European project Food Heroes. Food Heroes focuses on innovative food entrepreneurs working on the reduction of food losses in the food chain. Contronics Dry Misting technology is one of these solutions; the fruits and vegetables in the kitchen are covered with a blanket of mist, keeping them fresh for longer, maintaining their excellent quality and in that way reducing food waste! Learn more about The Embassy of Food.